These pages are offering a diocesan family resources to encourage and support the families in our communities as well as offer signposts to where materials and resources to support the family, and to support married life, can be found. There may be nothing new here other than simple signposts taking you to the tremendous amount that there is available on the web. This initiative flows from our diocesan guidelines, Called to be a People of Hope and finds an echo in our diocesan vision A Future Full of Hope. As a diocesan community we seek to give honour, dignity, respect and worth to the family and to those who live out the vocation of marriage. Our guiding principle was to reflect upon the mystery of God become one of us, born into the Family of Nazareth. His birth “consecrated the family as the basic and ordinary way of his meeting with humanity.” God reveals himself in the beauty and the ordinariness of family life. These pages will offer you thought, reflection, tools, materials and resources that may just deepen your own awareness of the wonder and dignity of the family. It may be that these pages enable you to find answers to questions you may have; it may be that you are looking for help or support; it may be that you need something or someone to refer to. Hopefully, there’s enough here to guide your thinking, your praying and your searching. If not, then get in touch with us here in our Diocesan offices. Celebration of Marriage Mass on Saturday 13 July 2019 at Clifton Cathedral. Please note the date for this year’s Celebration of Marriage Mass is Saturday 13 July 2019 at 12 noon, followed by refreshments on the terrace. More details to follow and we will be inviting couples who are celebrating a significant anniversary to let us know beforehand. 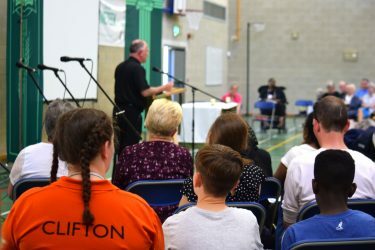 The date for this year’s Diocesan Day will be Saturday 6 July 2019, again gathering with our bishop at St Brendan’s College, Brislington. The day will be built around a keynote address and workshop sessions facilitated and led by superb individuals who have given their time to come and join us. Do encourage others to come with you: bring your family, members of your parish, and those who are involved in parish ministry in any way. There should be something for you, something for all ages, and something to attract all interests. Please see link to the 2018 Diocesan Day at St Brendan’s College. Noah’s Camp is a Catholic family camp set in rural Gloucestershire. More information and updates on the website www.noahscamp.co.uk or call 07961346343. Marriage Week is a great annual focus for couples to take time to pause and learn some new skills to take their marriages from good to very good! We believe that the wedding day is only the start and that all marriages can get better and better with each passing year. Marriage Week UK is coordinated by Marriage Foundation, the national champion for marriage. It is widely supported by charities and individuals who believe that healthy marriages bring benefits for all of society and should be encouraged and supported wherever possible. After two wonderful years of working on the Baptism Preparation project, meeting and training some enthusiastic and willing people in our parishes, the work continues and is no longer a project! it’s now a beautiful piece of work. Having prepared the soil, sowed the seed, there is the opportunity to prepare parents for the Sacraments and why not start at the very beginning. This is a gentle resource to establish a culture of accompaniment of families in their journey of faith. Please get in touch if you would like to talk further about introducing this in your parish, train a team or simply have a question. Email anitra.rawlins@cliftondiocese.com or telephone 0117 902 5595 to speak to me, or leave a message and I will call you back. I really look forward to hearing from you. I am thrilled to report that Baptism Preparation teams have been trained and are delivering the formation in our pilot parishes of St Bernadette’s, Whitchurch – Our Lady & St Alphege, Oldfield Park, Bath – St Michael’s, Shepton Mallet and St Mary’s, Glastonbury. During the course of the year, I have discovered other parishes in our diocese who have already established baptism preparation in their parishes and they are generously sharing their experience to assist the newly-formed teams. 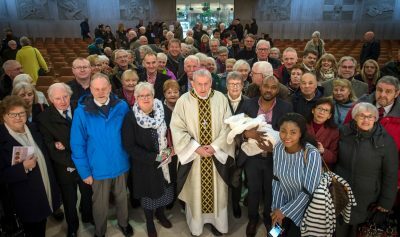 The baptism preparation has helped to establish a culture of accompaniment within these pilot parishes and they understand the enriched welcome on offer to their families journeying towards baptism and life in a faith community. The whole parish is involved in this welcome and is encouraged by this offering. It has been exciting to draw on the expertise from within these parishes. Our diocese has begun journeying through an implementation of the Bishop’s vision for the next 5-10 years ‘A Future Full of Hope’ and the next three years – Mission, Prayer, Communion – are centred around being the Church we need to be and forming us as evangelising disciples. 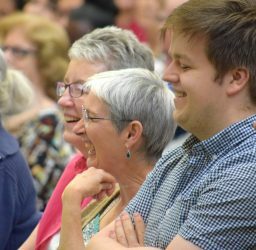 The Baptism Preparation formation is a perfect response to evangelising opportunities, particularly in this year of Mission – it is gentle and non-judgmental and gives parents the space for conversation around how they feel about their faith and how this can grow with, and within, a faith community. It is an affirming process of God’s love for each one of us. It also allows us to see baptism within a wider context than just preparation for a sacrament and a day, and to see it as preparing for that encounter with Christ and his Church. – celebrating new members to our families and parishes, and new life! Actually, the fruits are becoming so much more, as we realise how support needs to be shown to families in small ways through opportunities for prayer within the family, opportunities for a deepened faith within the family so that, as a diocese, we are all working towards supporting the mission of the domestic church. We realise more and more that baptism is a simple beginning and a door pushed ajar to enable us as a Church to walk more closely with the many faces and many shapes of the families in our parishes, our schools and our communities. This wonderful beginning of a relationship of faith that begins in baptism, and begins with an introduction to a faith community, has brought to our imagination a lifelong accompaniment of the family. We are constantly updating the website which gives support to the initiatives of Marriage & Family Life, gathering resources as well as up-to-date News and Events, and to offer our diocesan community a serious resource for many aspects of Marriage & Family Life. Please feel free to contact me via my email: anitra.rawlins@cliftondiocese.com or Adult Education 0117 902 5595. Just to introduce myself; I’m a wife to Chris and mother to Will, Jack, George and Freya. I have a background in adult training and catechesis, and excited by a revival in my own faith, I am keen to reach out and share my joy in the Lord with others. Anitra Rawlins Marriage and Family Life Project Worker from Clifton Diocese on Vimeo. Marriage Care has three Centres in the diocese of Clifton, covering Cheltenham & Gloucester, Bristol & Bath and Swindon & Wiltshire. All three Centres need new volunteers. Would you consider giving a little of your time to support a mission to marriage? Can you think of any others who might? 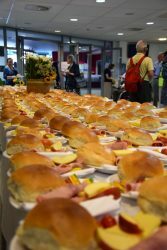 Could you raise this need in your parish? What does ‘vocation’ mean? The word ‘vocation’ has as its root the Latin verb ‘vocare’: to call. God calls each of us to follow Him on a daily basis but when we speak of ‘discerning a vocation’, we usually mean working out how it is that God wants us to live our adult lives as a whole: not just in what we do, but who we are. On this page, we explore the vocation – or calling – to married life. Through the sacrament of marriage, we live that universal call to holiness with particular reference to spouse and children: my marriage is the main way through which, please God, I will reach heaven. It is a calling that mirrors the relationship of Christ and his Church, as Pope Francis wrote in Amoris Laetitia §72: Marriage is a vocation, inasmuch as it is a response to a specific call to experience conjugal love as an imperfect sign of the love between Christ and the Church. Consequently, the decision to marry and to have a family ought to be the fruit of a process of vocational discernment. For more about discerning your vocation, please see here. Living the vocation of Marriage No matter how unlikely this seems in the daily round of domestic chores, daily work, children’s needs and too little sleep, the reality of a sacramental marriage is nothing less than ‘a gift given for the sanctification and salvation of the spouses, since their mutual belonging is a real representation, through the sacramental sign, of the same relationship between Christ and the Church.’ AL72 The joy of sacramental marriage is to be found in the knowledge that it is God who holds us together in His Love. Amidst the messiness and imperfections of family life, we know that it was God who loved us first, and continues to love us, to bless us and to fill our marriage with His grace, so that we might love each other with (a shadow of!) that love. See our NEWS & EVENTS tab above if you are searching for Marriage Prep in your area. The Church’s pastoral care for marriage finds its most visible expression in its care for couples preparing to get married. There are a number of programmes available to couples in England and Wales that complement the required preparation that is the responsibility of clergy to provide before a wedding can go ahead. 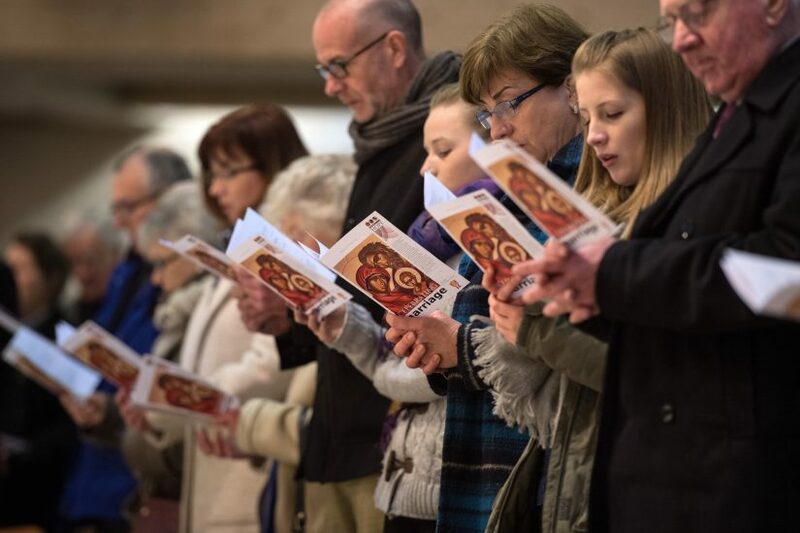 These programmes usually cover skills such as communication and conflict resolution as well as opportunities to reflect on the meaning of the sacrament and the kind of commitment that marriage embodies. The links on this page feature the main programmes currently available. See our NEWS & EVENTS tab above for dates of enrichment in your area. The Church’s support for marriage also includes counselling and domestic abuse awareness. Marriage Care offers counselling to couples to help them work through whatever difficulty is proving difficult for them to resolve on their own. Catholics Experiencing Domestic Abuse Resources (CEDAR) points to the compassionate response needed from the Church by victims of domestic abuse, including awareness that couple counselling in these cases is not at all recommended. In January 2018 the National Board of Catholic Women (NBCW) published a revised 4th Edition of their Guide to the Annulment Process. First issued in 1998, the Guide seeks to de-mystify the annulment process, making it easier to understand, and hopefully less stressful. The 4th Edition also takes into account Pope Francis’ 2015 Mitis Iudex Dominus Iesus, ‘The Gentle Judge, our Lord Jesus, the Shepherd of Souls’. January is the peak month for marriage breakdowns, so how do you make sure love lasts a lifetime? Six happy couples reveal all. celebrating new members to our families and parishes, and new life! Our parishes are a family of families and need to seek ways to celebrate this by regularly affirming their presence. Opportunities need to be provided to encourage our families to meet together and to get to know each other. Welcoming families has to be intentional and constant. The message of welcome to families needs to be part of our liturgy, on our websites, in our newsletters, part of our planning of events and shown on all our faces. Our parishes are full of opportunities for events and groups for families. It might be an event such as a ‘Family Day’ or perhaps a group directed at different age groups e.g. toddler groups, grandparents groups, family groups etc. Families can get involved in the planning and organisation. It might be that a group is formed to provide an opportunity to share and explore questions of faith. To help equip parents to ask and deal with difficult questions of faith, and to not only receive answers, but also to build relationships with others in the community. With Christ joy is constantly born anew… I wish to encourage the Christian faithful to embark on a new chapter of evangelisation marked with this joy, while pointing out new paths for the Church’s journey in years to come.” (Evangelii Gaudium 1). The God of the Pots and Pans Our families are holy ground. Here we experience love in all its joy and sorrow, transcendence and ordinariness, wholeness and mess. Here is our domestic church where God dwells just as surely as He does in any mighty cathedral. St Teresa of Avila said that ‘God is in the pots and pans’ and this is where we can find Him in all the day-to-day work of family life and this is where we find ourselves poured out in love, given away, made holy. As followers of Christ, we are all called to holiness and our family lives are moment-by-moment, daily invitations to love and to be loved in all the repetitive business of human life because there, beneath the surface, is God- Love Himself. Our children usually first learn of love through us, their parents. We are their first teachers and they experience the love of God through our love for them. God is there in our kindness, self-sacrifice, patience, forgiveness, fairness, honesty and perhaps this is the beginning of us as parents, passing our faith to our children. We are attempting to show the Face of God to our children, just as Jesus showed us the Face of the Father through His Incarnation. And maybe this is the most important witness we can give – a faith lived. All those small signs of love; a kiss, a meal, clean clothes, an unkind remark forgiven, done with love and faith. Are these the ‘sacraments’ of our domestic church? Visible signs of grace, of God’s Love. Faith Enough to Share Of course, in order to nurture the gift of faith in our children, we find that our own faith also needs nurturing. It can be tested as we meet the challenges of family life. In my own faith journey, I found myself returning to the Sacraments in a new way, exploring how my faith could inform my day-to-day life. I also discovered that I knew few of the answers to the very challenging questions that my children ask! So, rediscovering the ‘reasons for your hope’ (1 Peter 3:15) became important and life-giving. We do, I think, need to talk about our faith, bringing God into our daily conversations when it is called for. This can be challenging because it often feels as if we cannot clothe our faith with words, God is a Being, our faith a result of encountering Him, a gift. It can also feel as though our own faith is not strong enough, we have so many questions ourselves, we feel far from understanding the mysteries of God. There are no easy answers here, and perhaps if we feel we know all the answers, we probably haven’t understood the question! If we let Him, the Holy Spirit will guide us and sometimes, maybe we are called to live in the mystery of God, letting go of our tight grip and allowing God to be the heart of our families. Children learn the faith through us as models and witnesses. We do not have to perform amazing feats; just live our everyday family lives with love. Our example is powerful as our children watch how we navigate relationships with loved ones, how we live out our faith, how we do our work, how we connect with the wider community. We hope that our children see us putting into practice what we believe and living in accordance with our beliefs. If we want our children to learn how to incorporate faith into their own lives, we also need to practice the faith explicitly at home. A routine for prayers at home, talking about God and church teaching, celebrating special liturgical seasons, sharing our own faith stories, having pictures and statues in our homes that reflect our faith are all ways of making God central in our family lives. It is also very helpful if we can spend time with other families, where both parents and children can share experiences of the journey as a Christian family, knowing that we are not alone. Our children develop their own faith journey too, as they are brought more deeply into the life of the church through the Sacraments of Initiation; Baptism, Confession, First Holy Communion and Confirmation. They come to Mass with us, joining with the wider Catholic community at the source and summit of our lives as Catholic Christians. All this sounds very perfect, and therefore unlikely that it will be plain sailing for most families. Each family is unique, with its own ingredients of personalities, beliefs, resources, constraints, struggles and commitment. It is easy to feel inadequate, thinking that we have failed, when things do not go to plan. It is extremely hurtful if, despite our best efforts, our children reject faith and no longer wish to practice. We cannot pass on our faith wholesale to our children; it is a gift that they have to accept as their own. In this, as in all things, we are called to trust in our loving, merciful Father, that He will bring all His children home one day. Questions to think and pray about: In what ways are love and grace present in the everyday life of my family? In what areas do I struggle with my own faith and how would I like to change this? What is stopping me from sharing my faith with my family? What areas of my family life feel broken and difficult? How can I allow God into those areas? Do I have any ideas, tips or experiences that could help others? The Family at Prayer booklet – available soon! Teaching our children to pray is an essential part of introducing them to Jesus Christ. Our Lord gave us prayer so we could communicate with him directly, and getting children comfortable with prayer helps them to understand that God is always close and to grow in consciousness of his presence. We are all called to holiness, and all to prayer. The best way to begin guiding our children in prayer is to pray in their presence. Even before they have learnt to speak, we can invite them to pray with us as best they can. We can look for opportunities to pray in front of them, just as we would seek out opportunities to teach them about manners or about how to treat each other with kindness. As well as praying in the morning or before bed, we can encourage them to come to God with all things and at any time and that no request before God is too small. Some children may feel shy about praying out loud and may say they can’t think of anything to pray about. If this happens, we can pray for something first, and then ask them to finish the prayer. There are many ways in which we can share the joy of prayer with our children and help them deepen and grow in their experience of prayer; some of these are explored on the adjoining pages. It is also important that children understand prayer can simply be a conversation with God, one that is held with respect for his unending love and power, but that is spoken in our own words. Prayer is not complicated and is meant for everyone. An early Christian poet, St Ephraem, wrote, ‘Birds fly, fish swim, people pray’. Human beings are made to pray, because they are made for God. If your spouse is a non-believer it can be difficult to pray together for your children or yourselves. When we were worried or anxious about our children or any situation we would hold each other’s hands and just quietly sit and think about the situation/problem/needs for a few minutes. As the catholic, I would then just talk/pray aloud about the issue and ask God to enter into the situation and to ease any anxieties and to guide us. Sometimes my husband may add something, sometimes not, but we both felt better by just focusing together on the issue. As the years progressed he would often lead the prayer time, but we always hold each other as we pray, even now after 45 years together. There is something very powerful about being in physical contact as we pray and share together, it brings us great joy, no matter what is happening that day or has already occurred. Why not try it and see for yourself! Becoming a grandparent can be a wonderful moment in your life. The birth of your own child was amazing, but welcoming a new generation into the family can be almost overwhelming. For us it was a mixture of joy, awe and an awareness of being old enough for our “child” to have a child of their own; a recognition that they were adults too! A grandchild brings great joy, especially once they start smiling, talking and toddling about. But it is also a time when we can pray for them and their parents. As grandparents we want the very best for our grandchildren and what can be more important than praying for them and their parents each day. As a Catholic we have a role in passing on our Faith. I am not talking about major practices, but the little things we do daily, probably without truly thinking about as they are so much a part of who we are as a person. For example, the sign of the cross and prayers before and after a meal, always having one’s rosary beads to hand – often beside where you sit. Little things such as these can provoke questions in our grandchildren which we can explain simply according to their age. Advent is a great time to explain about Jesus by having a Crib on display that can be played with as you talk about the birth of Jesus, or religious Advent Calendars which also focus on the Nativity. Also, having Christmas story books around, or giving them as an Advent present is a great way to open the children to the reason for Christmas. Making a Christingle together is another way. Likewise at Easter you could create together an Easter Garden and maybe let them take it home with them if that’s possible, and again using storybooks to help the child know more about Jesus. If our children are not practicing their faith they may feel unsure about what to say or do so always be gentle in approach, never judgemental. If they are staying with you, it may be possible to take them with you to Church, even if it’s only your turn for the flower rota or cleaning as this building will provoke many questions from inquisitive young people. Lighting a candle and saying a prayer whilst there, is also something which encourages prayer and leads to further discourse. At Mass, many parishes offer children the Liturgy of the Word so if a grandchild comes with you, you could take them out or encourage them to go on their own, depending on their age. No matter where they are, whether we see them often, rarely or sadly, in some cases never, it doesn’t mean that we are not thinking about them, so joining a group like the Grandparents Association can be a source of encouragement, prayer and companionship with other grandparents. Meetings happen for between 1 and 2 hours either fortnightly or monthly and can be held either in a church hall or in someone’s home on a rota basis. Some groups try to meet up with their grandchildren as well in the school holidays and do fun things together, for example a picnic with games or a treasure hunt. For more information about the Grandparent’s Association contact the Marriage and Family Life Coordinator. The family, founded on the marriage of a man and woman, is part of God’s plan from the beginning. The ‘Good News’ of the family is therefore an indispensable part of the joyful message of the Gospel that the Church proclaims. The family is the principal agent of evangelisation of its own members. As the first school of faith and love, the Christian family is often where we ourselves first come to know Jesus and his love. The family proclaims the Gospel to the World. The Christian family, by its witness to the life and love of Jesus, is a principal agent of evangelisation to the world. The World Meeting of Families 2018 will explore each of these dimensions of theme the Gospel of the Family: Joy for the World and what it means for families and the Church today. The Vocation and Mission of the Family in the Church and in the Contemporary World. The final report of the Synod of Bishops to the Holy Father, Pope Francis. Vatican, 24 October 2015. Holy Mass For The Closing of the XIV Ordinary General Assembly of the Synod Of Bishops, Homily of His Holiness Pope Francis, Vatican Basilica, 30th Sunday in Ordinary Time, 25 October 2015. Conclusion of the Synod of Bishops, Address of His Holiness Pope Francis. Address of His Holiness Pope Francis during the afternoon General Congregation of the Synod Of Bishops, Synod Hall, Thursday, 22 October 2015. Introductory remarks by His Holiness Pope Francis, Synod Hall, Monday, 5 October 2015. Holy Mass for the Opening of the XIV Ordinary General Assembly of the Synod Of Bishops, Homily Of His Holiness Pope Francis, Vatican Basilica, 27th Sunday In Ordinary Time, 4 October 2015. The Vocation and Mission of the Family in the Church and the Contemporary World: Instrumentum Laboris. Closing Mass of the Extraordinary Synod on the Family and Beatification of the Servant of God Paul VI, Homily Of Pope Francis, Saint Peter’s Square, Sunday, 19 October 2014. The Pastoral Challenges of the Family in the Context of Evangelization: Relatio Synodi. The Pastoral Challenges of the Family in the Context of Evangelization: Instrumentum Laboris. The Pastoral Challenges of the Family in the Context of Evangelization: Preparatory Document. “Falling in love is a wonderful thing,” Pope Benedict XVI told the World Meeting of Families held in Milan, Italy in 2012. However, the pope described falling in love as the start of a couple’s journey, not its highest point. Something “more wonderful still” awaits the couple, he said. “I often think of the wedding feast of Cana. The first wine is very fine: This is falling in love. But it does not last until the end: A second wine has to come later, it has to ferment and grow, to mature. So this is a pope who spoke about falling in love? Yes, and he wanted the world to recognize not only the needs of married couples, but the strengths they bring to their homes and surrounding world. And he called attention repeatedly to the specific ways children grow at home into precisely the kinds of adults society needs. The family “is fruitful for society because family life is the first and irreplaceable school of social virtues,” he said in Milan. Time after time since becoming pope in April 2005 Pope Benedict turned attention to the sacrament of marriage and family life. I came to consider his manner of esteeming marriage and the family as themes of his papacy. He hoped the world would learn through couples – see in them – that genuine marital commitment remains possible in the 21st century. Because “human beings are made for love,” the pope said, “their lives are completely fulfilled only if they are lived in love.” He explained that “the vocation to love takes different forms according to the state of life,” one being marriage. Pope Benedict realized that couples encounter all-too-real challenges in marriage and family life. “Conjugal love is not a fleeting event, but the patient project of a lifetime,” his apostolic exhortation on the Middle East stated. This is a pope who wanted couples to receive support, including religious educational support, from parishes, their extended families, friends and others. Moreover, he wanted spouses to seize moments to focus together on their marriage. A July 2012 message sent in his name to the international meeting in Brazil of the Teams of Our Lady invited couples to set time aside each day to talk with each other. “Sincere and constant dialogue between the spouses is essential for avoiding the emergence of misunderstandings that grow and harden,” the papal message said. When he spoke of the family’s role as a school of virtues, particularly for children, Pope Benedict tended to name rather precisely the virtues he had in mind. Women fulfill invaluable roles in creating such environments, he said. Added to his Nazareth list of virtues absorbed at home are virtues of generosity, trust, responsibility, solidarity and cooperation – all mentioned in the pope’s June 2012 homily to the Milan World Meeting of Families. In his World Day of Peace message Jan. 1, 2013, Pope Benedict shared his conviction that the world depends on families for its future peacemakers. “It is in the family that peacemakers, tomorrow’s promoters of a culture of life and love, are born and nurtured,” he said. Familiaris Consortio “The Fellowship of the Family” Post-Synodal Apostolic Exhortation on the Role of the Christian Family in the Modern World. 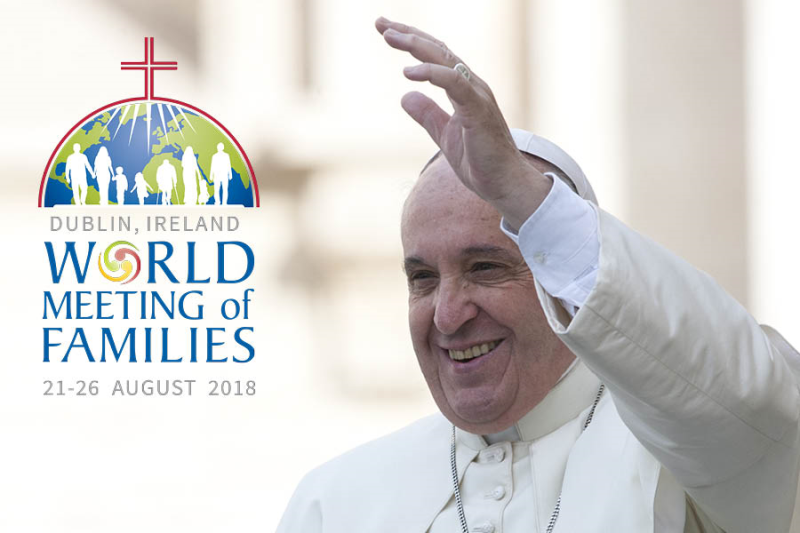 The World Meeting of Families 2018 held in Dublin this August, guided by the theme “The Gospel of the Family: Joy for the World was a celebration of families of all shapes and sizes. It was an affirmation and encouragement to continue to love each other, through thick and thin; after all, love is willing the good of the other! Our families are schools of love, virtue, faith and hope. We, as the domestic or ‘little’ churches, need to be encouraged and affirmed, and we parents need to realise we are the first and best teachers of our children. We learn the use of freedom in our families and the challenges of communication, our environment and respect for the dignity of life mean that we must teach our children how to use it wisely. Rachel’s Vineyard can help you to experience God’s love and compassion on a profound level. It creates a place where men and women can share, often for the first time, their deepest feelings about abortion. Twoinoneflesh.org.uk – Resources for prayer and reflection in marriage. A superb resource for reflecting on the Sunday readings each week as a married couple. National Office: Caroline Dollard / Hannah Moruzzi can be contacted at: caroline.dollard@cbcew.org.uk / hannah.moruzzi@cbcew.org.uk. The national website can be found here.